The spokesman of the group, Tunji Abayomi also said Oshiomhole lacks the intellectual capacity to lead the ruling party. 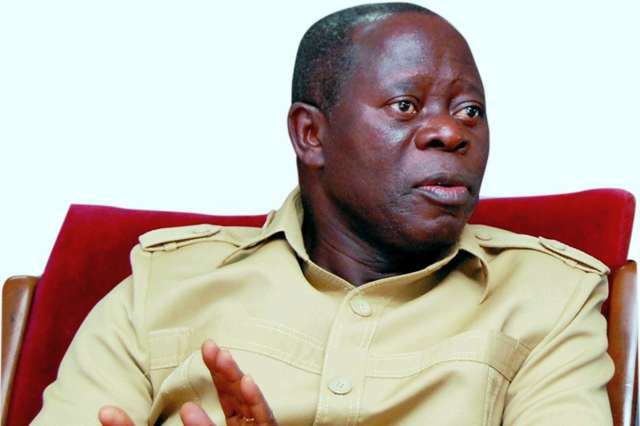 Some aggrieved members of the Ondo state chapter of the All Progressives Congress (APC) have called for the resignation of the party’s national chairman, Adams Oshiomhole. The members National Assembly aspirants who were disqualified from participating in the party’s primary election in Ondo. The disqualified aspirants include: former Speaker of the state House of Assembly, Hon. Victor Olabimtan, Tunji Abayomi, Lucky Ayedatiwa, Odunayo Akinrinlola, Felder Olatunji and Chief Morayo Lebi. According to Tribune, the spokesman of the group, Tunji Abayomi said Oshiomhole lacks the intellectual capacity to lead the ruling party. “His election as the national chairman of the party has increased the crisis within the party, he is unfit to rule the party. In order not to destroy and kill APC, Oshiomhole resign, resign and resign now. “it is wrong for Oshiomhole to underestimate the character of our people on Ondo state, we stand for justice, equity, rule of law, constitution of the country and the party,” he added. Lending his voice, one of the aspirants who was cleared, accused Oshiomhole of giving preferential treatment to some party members. “More disturbing is the increasingly audacious impunity associated with the leadership of the party under Adams Oshiomhole. 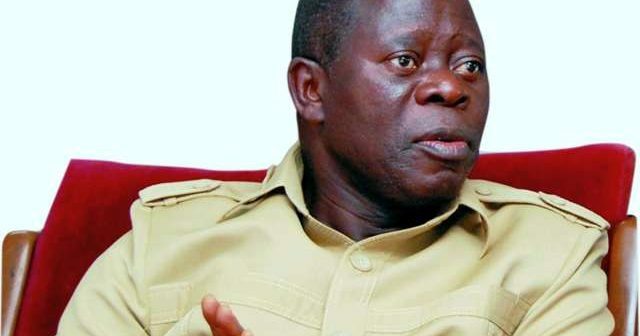 Adams Oshiomhole recently got people talking » on social media following a mistake which he made during a press conference on the Osun governorship election. Oshiomhole was declared chairman » of the ruling APC at the party’s national convention which held at the Eagle Square in Abuja on Saturday, June 23, 2018.